This snowman really is sweet. I think he looks like he is asking for a hug! 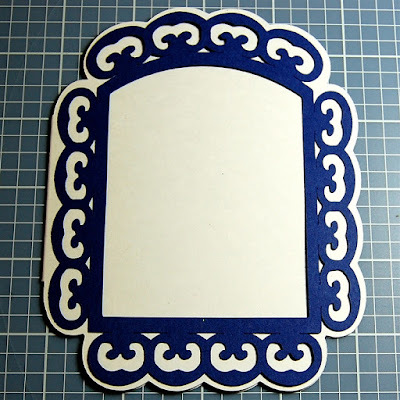 As promised, today I will show you how to make the shaped card base. If you have Design Studio or the Gypsy you can make truly custom cards by adapting shapes from your cartridges. 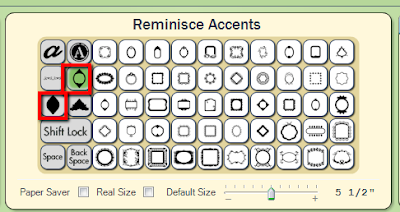 The Reminisce Accents cartridge has an amazing variety of frames with layers and shadows. 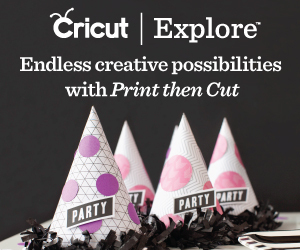 These are fun to cut as they are designed and used as card toppers or journaling spaces. 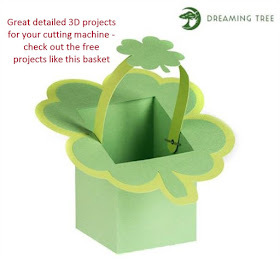 With a few simple steps you can also turn these shapes into cards. Remember, you can click on any image to see it in a larger size and read the notes more easily. I chose this shape which is the last one in the fourth row. As you can see, when you place it on the mat with the slider bar set at 5 1/2 inches the proportions are not correct for a standard A2 card. Whenever I make a card or a topper for a card, I use a guideline rectangle to make sure that my elements will fit neatly. For a vertical A2 card you need a rectangle 8 1/2 inches wide and 5 1/2 inches high. 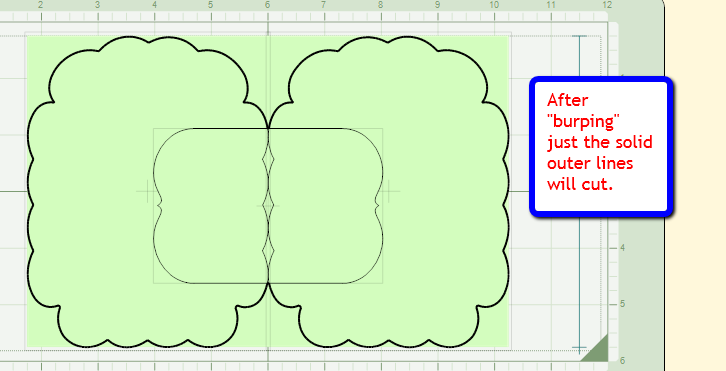 I center it on the mat with the x value at 1.75 and the Y value at .3 - these numbers will work for the 6 or 12 inch mat. 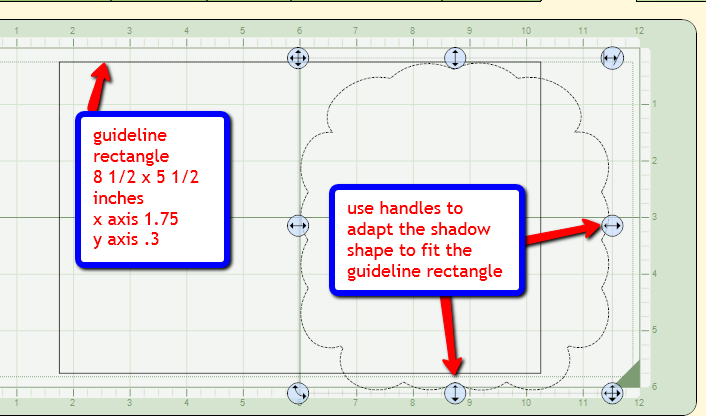 Use the upper left handle to position the shadow shape so it is touching the top of the guideline rectangle and the center line on the mat. 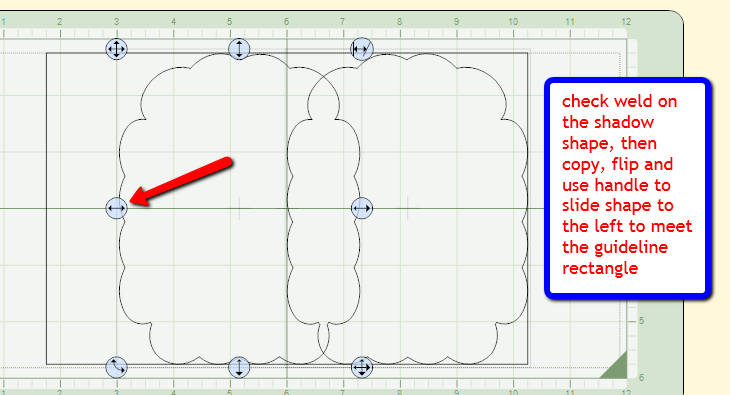 Then use the handles at the center right and bottom center to fit the shape to the guideline rectangle. 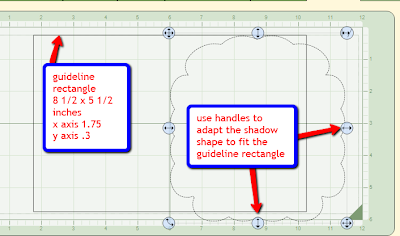 Once you have fit the shape into the guideline, check weld while the original shape is selected and then copy, paste and then flip the shape (check flip in the Shape Properties Box). You need to flip the shape to be sure that the front and back of the card will match. Some shapes appear to be symmetrical but they seldom are perfectly symmetrical. Then use the center left handle to slide the shape to the left until it lines up with the left edge of the guideline rectangle. In order to give a solid spine to the card and to create a shape that the frame will fit correctly, you can add another shaped to be welded inside the card. 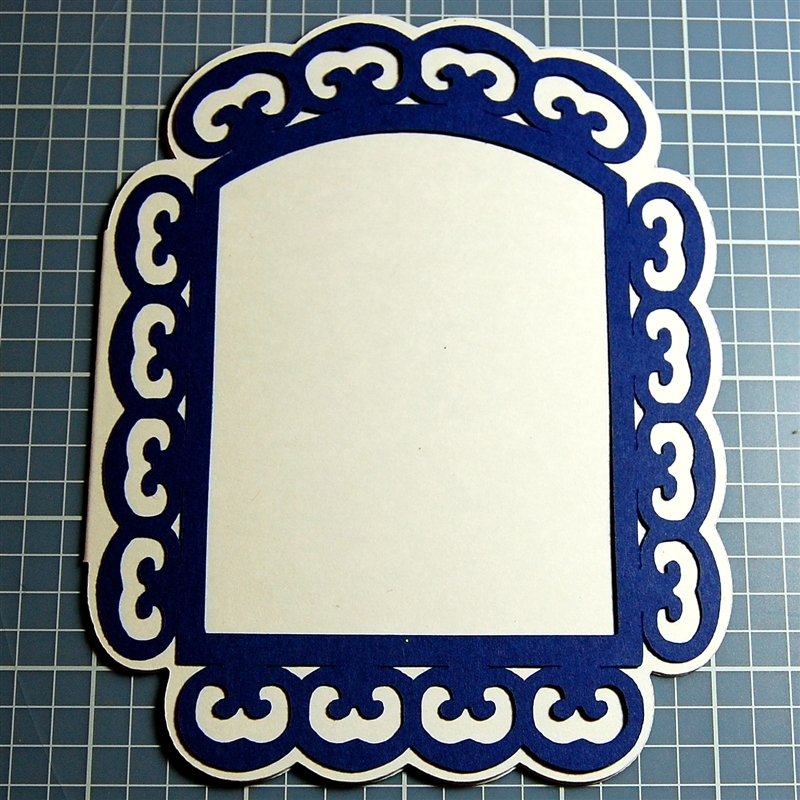 this can be any handy shape on the cartridge that will cover the center area and create a solid area to fold the card. At this point you can copy and delete the rectangle and paste it to another mat in the file to use for previewing the card. Preview the card by clicking the eyeball. In most cases you will have a problem with the weld because the center shape was added after the two card sides. 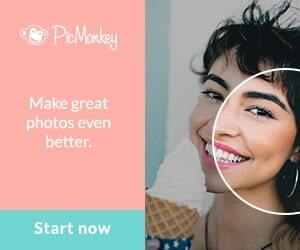 You can see by the dark lines that the center will have unwanted cuts. You need to "burp" the design. This means that you need to copy one side of the card, then click delete and then paste it back again. 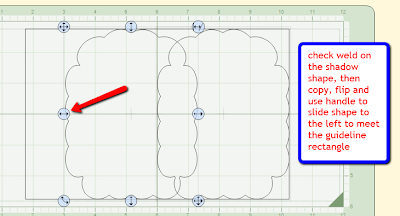 In Design Studio, the pasted shape will go to the exact position that the original was in so your card will be intact again with no adjustments. Preview again and you can see that the center of the card is now solid and only the dark outer lines will cut. Now all you need to do is to adjust the frame to fit the new card shape. 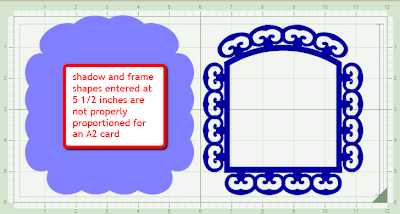 You can add the frame to this mat or place it on another and preview the file again. 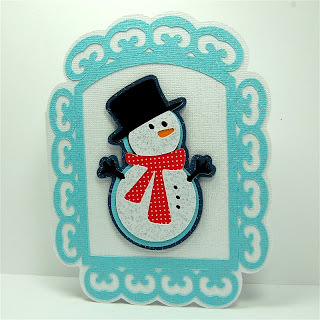 Use the handles to move it into position and reshape the frame so it fits the card nicely. 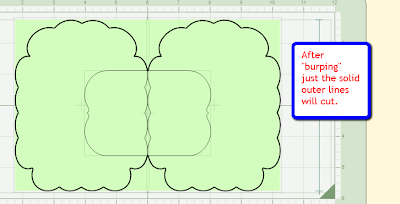 If you were working on the same mat that contains the final card to cut, copy and paste the frame to another mat so you can cut it. This was my first test cut of the file. I usually cut a design in ordinary cardstock to be sure that everything works the way I intended and then cut with my "good" cardstock. I can still use this as a card - it just isn't the shimmery and shiny look I wanted for the snowman. I prefer working In Design Studio over the Gypsy for this sort of card. I find it much faster to simply stretch and compress a shape with the handles and I dislike the way the gypsy resizes from the center which means I constantly have to move the shape back into position. Please let me know if you have any questions or don't understand the process for making the card. 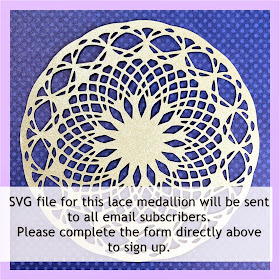 It is really fast and easy to do and, with a little practice, soon you will be making lots of new shaped cards. 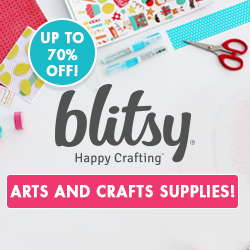 and there is also a new cartridge called Cricut Classic Font (which is a full cartridge and I believe it will be included in the Walmart Black Friday colorful Expression bundle along with the Playtime cartridge). Two more cartridges were added to the retired list - Base Camp and Fabulous Finds. The sample sheets and handbooks are not yet listed in the Cartridge Library but you may want to check in another day or two - just click the link. 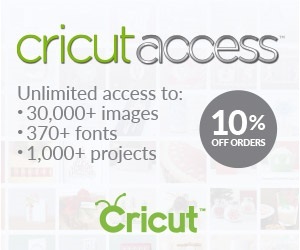 You can get a look at some of the images in the Shopping section of the Cricut.com site. 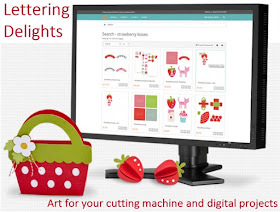 I appreciate very much all of the messages of support and the votes that you are making to help me win the Crusin' with Cricut Creative Memories contest. 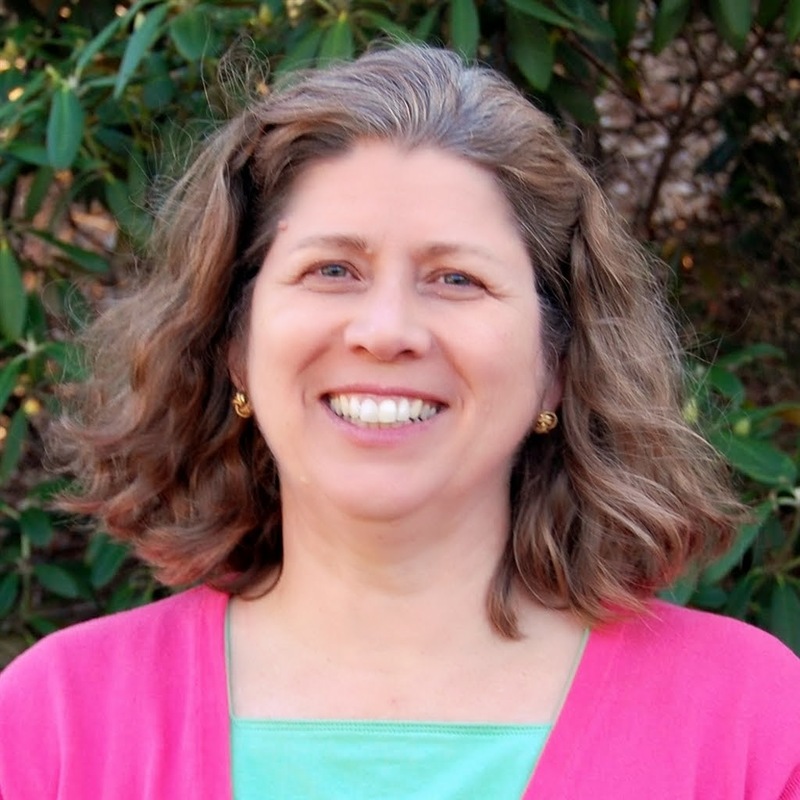 The contest continues until the 23rd and you can click on the image of my layout at the top right of the blog to go directly to the voting page. You need to wait a full 24 hours between votes, so if you can't vote because it already says "I voted" please try back a little later in the day. Thanks for the info on how to weld a shaped card. 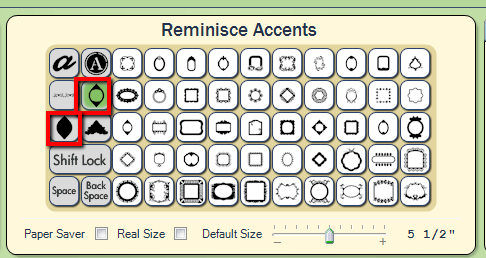 the tip about adding the center rectangle is good. Hadn't thought about that one! Voted for you again. Thanks for leaving the reminder on your blog! thanks for reminding us to vote...and thank you so much for the helpful hint about burping!!!! Darling card! Thanks for sharing the instructions, too!